Mariner platform with the Safe Boreas. Norwegian energy major Equinor said today that first oil from its £4.5 billion Mariner project in the UK North Sea had been pushed into next year. 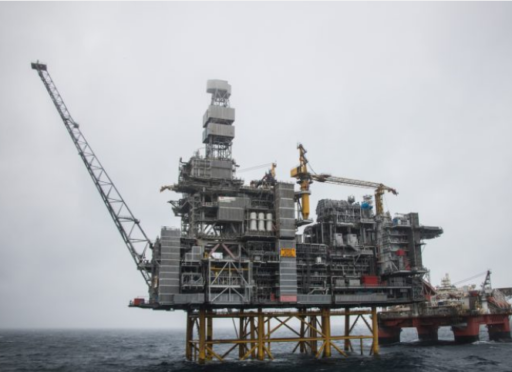 Equinor, the new name for Statoil, had expected to start production from the giant field in the fourth quarter of 2018, but “challenging weather conditions” have taken their toll. The hook-up and commissioning phase has also grown in “scope”.